Medical malpractice is a tragic event usually associated with adults needing complicated surgeries or treatment for complex diseases. However, children are also at risk for this type of injury. Young children, especially, are often unable to communicate what is going on with their bodies or when something does not feel right. This process means regular visits to the doctor are a necessity, which unfortunately, puts a child at risk for negligent treatment that can lead to an injury. One tragic example of the devastating consequences negligence can produce is seen in a medical malpractice lawsuit filed in Dade County over brain damage sustained by a then four-month-old baby admitted to the hospital for the flu, in which an ICU nurse high on drugs accidentally knocked out his breathing tube and deprived him of oxygen for at least seven minutes. A discussion of how to initiate a medical malpractice claim, how long a claim can be made, and the challenges of proving negligence when children are involved, will follow below. Parents with a child injured due to poor medical care understandably want to get a quick and strong start on filing a legal claim against the responsible parties. 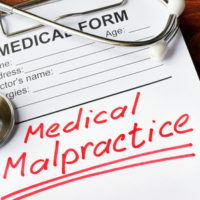 However, medical malpractice claims are not like most other lawsuits, and require an injured party to satisfy a number of preliminary steps before the lawsuit can even be filed with a court. These strict requirements direct plaintiffs to notify the relevant medical practitioners of their intent to initiate legal action for the purpose of giving the other side time to investigate and potentially make an offer to settle. The purported purpose behind this law is to reduce litigation, but in many cases, merely serves to delay the resolution of a case. In addition, before even initiating contact with the defendant, a plaintiff must secure an opinion from a medical expert which states that evidence exists showing the possibility of medical malpractice. Further, once the hurdle of the notice and investigation period is over, there is still the court-ordered arbitration and mediation to face before a claim makes it to trial. For practical purposes, these preliminary steps, in addition to the normal delays of litigation generally, mean injured parties will typically wait a substantial amount of time before a trial is held. This fact means parents of a child injured by negligent doctors need to take action as soon as reasonably possible to start the legal process. All lawsuits are subject to statutes of limitation, which state how long a claim is valid to be sued upon. Once the time has expired, the claim is considered abandoned, and generally, it is not possible to file a claim at this point. Medical malpractice cases are only allotted two years from the time the incident leading to injury occurred, or within two years of when an incident evidencing malpractice is discovered. This window is quite small, and delaying could prove detrimental to one’s legal right to sue. Turning to some unique challenges parents with an injured child may face when seeking to prove malpractice, a significant issue can arise when the child is unable to communicate about the effects of an injury. Children often lack the vocabulary or awareness to adequately describe their situation, and this can impact the types of damages that may be claimed. Further, examinations of the child will be required to document the extent of injuries and the likely restrictions they place on the child’s quality of life, which can be difficult to identify and investigate depending upon the child’s development. Seeing your child injured is one of the most devastating events a parent can witness, and the responsible party should be made to pay compensation. If your child was injured by a doctor’s negligence, the experienced attorneys at Miami’s Pita Weber Del Prado are here to hold the medical professional accountable. Contact us for a free consultation.